Wine Tasting in Budafok | eat. write. smile. 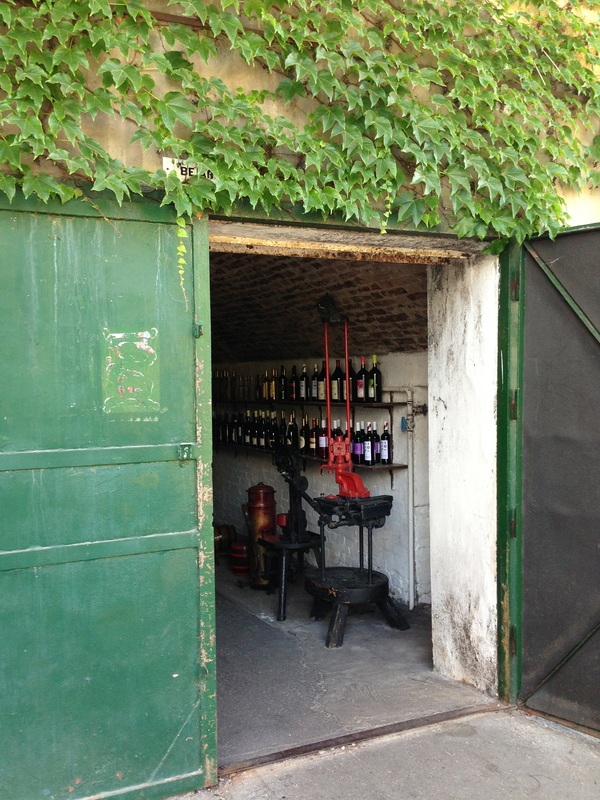 The doors to Honig Pence winery, in the Roman town of Budafok, just outside Budapest. I visited Hungary in early July 2013 and spent an afternoon getting to know the wines that don’t often make it to the international market. The dessert wines Kiralyleanyka and Tokaji Aszu were memorable but also expected, as dessert wines are Hungary’s notable exports. However, I loved a Rose Cuvee from the warmer southern side of Hungary, a decent 13% glass that I would gladly drink all summer long. Here are some shots from our afternoon in the cellar. The old barrel room and current tasting room, set in the limestone caves cut from the hillside of Budafok. When the Hungarian Parliament building was built in the 1890s, the limestone was excavated from these hills, and wine caves were created from the quarries. 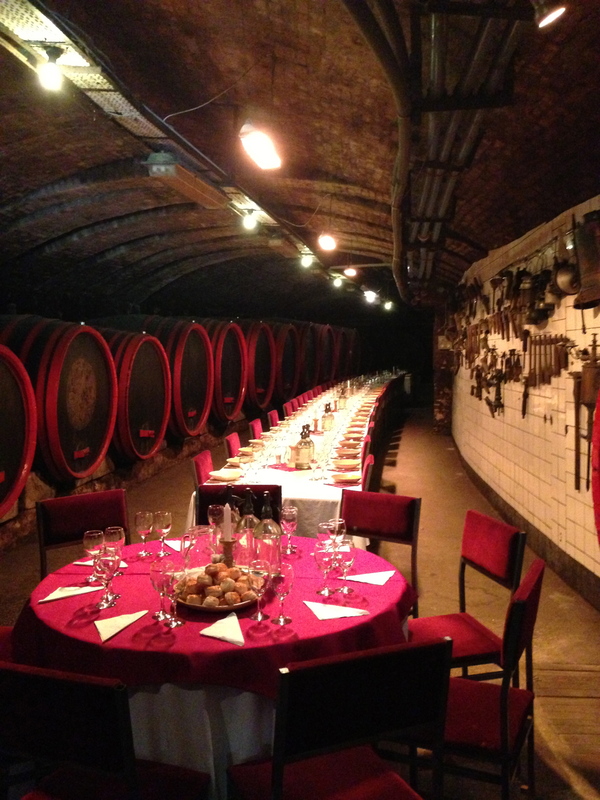 Today, over 40km of underground caves with a constant temperature of 13 – 14 degrees Celsius are used for wine production and mushroom cultivation. 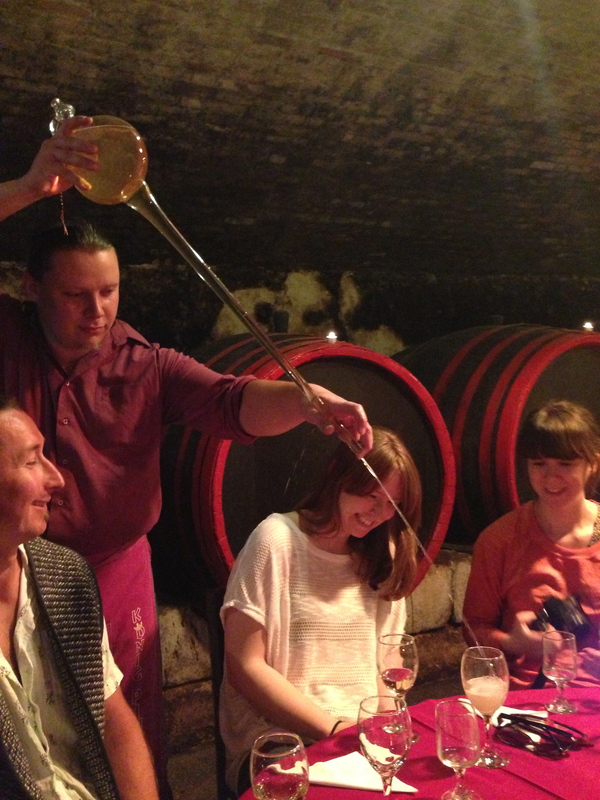 Our tasting guide pours a yellow muscat from the Great Plains region of Hungary (10.5% alcohol) from a long, elegant glass tool known as a lopo, meaning thief . 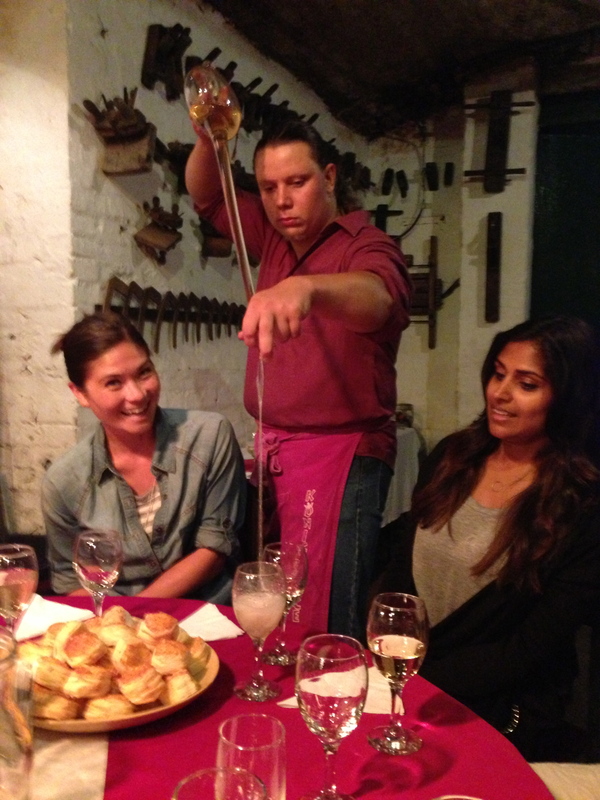 It can be used to siphon wine from large barrels to taste test; to retrieve small amounts of wine to drink without opening the large spigot; and to impress bashful tourists with laser beam accurate pours. Trisha and I admire our guide’s angle of attack on his pour technique and wonder why Napa Valley chooses to aerate wine with comparatively unexciting methods. 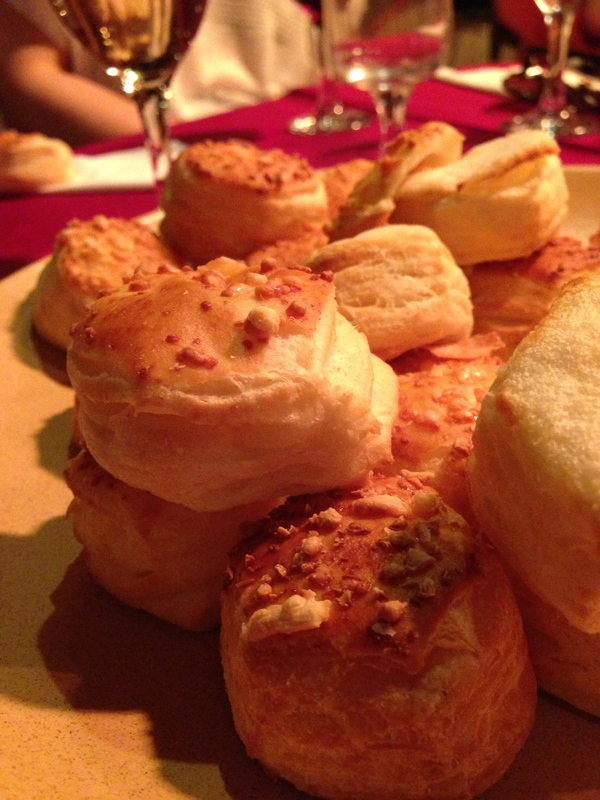 Our table overflowed with pogacha, a Hungarian snack bread topped with crisp cheese. 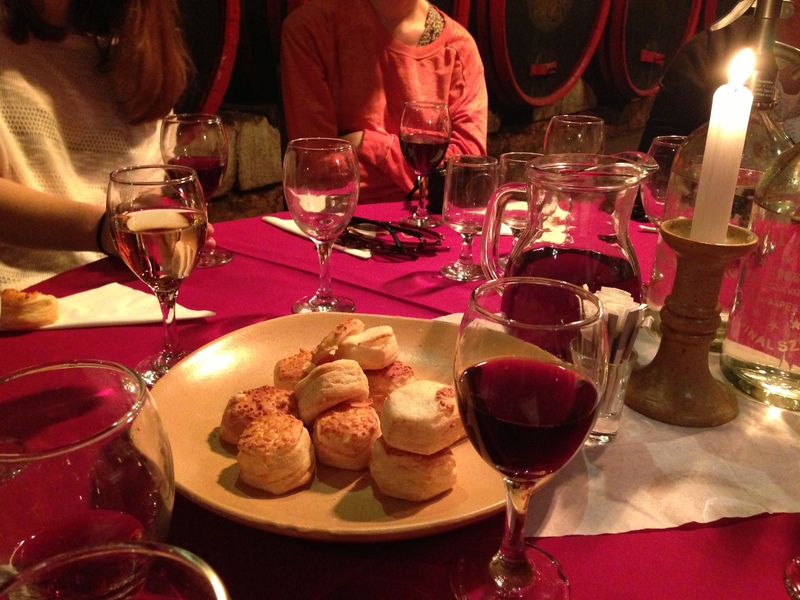 These savory biscuits cleansed our palate between the seven wines- and kept us standing upright! The cave, the candlelight, the glasses of wine, the company from all over the world… quite the setting for a memorable afternoon. It was audibly thunder-storming outside, so we kept on with pogacha, Tokaji aszu and conversation about the struggles Hungary faces to create world-class wine in a post-Communist economy. 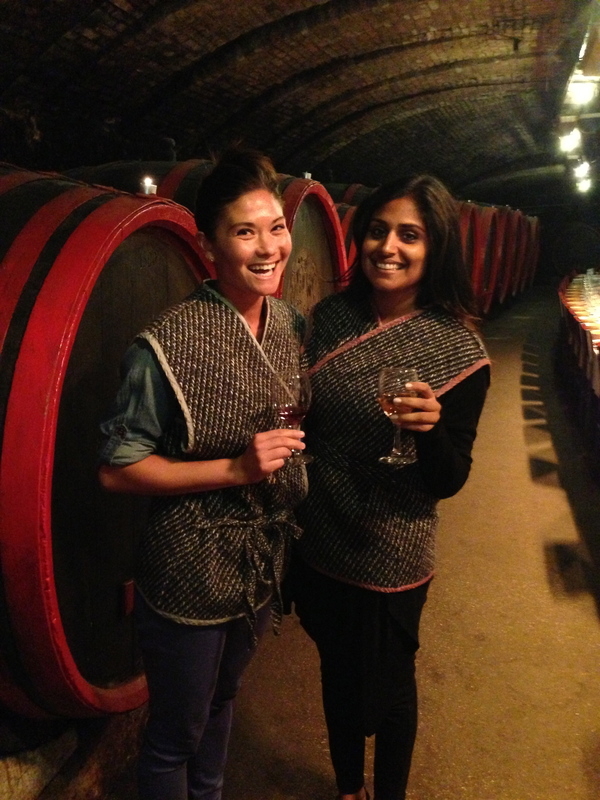 Not wanting to catch a chill in the drafty cellars, Trisha and I donned traditional vests for the visit. Sumo wrestlers? A new Jason Wu jacket? Didn’t matter- we had the best time. 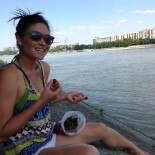 This entry was posted on July 10, 2013 by Ruthie in Travel, Wine and tagged Budafok, Budapest, Honig Pince, Tokaji Aszu, Travel, wine tasting.